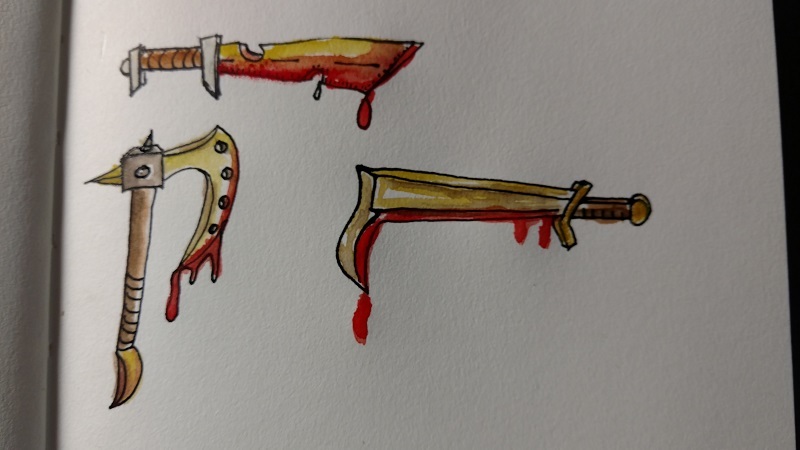 I sketched up some more weapon concepts a few weeks back, to get some ideas out. I like how relatively simple these sketches are. 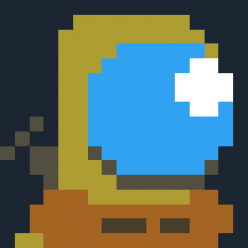 It’s a good stepping stone for better iterations (which will be shown later in this post). As you probably know, I’m a huge industrial music fan. 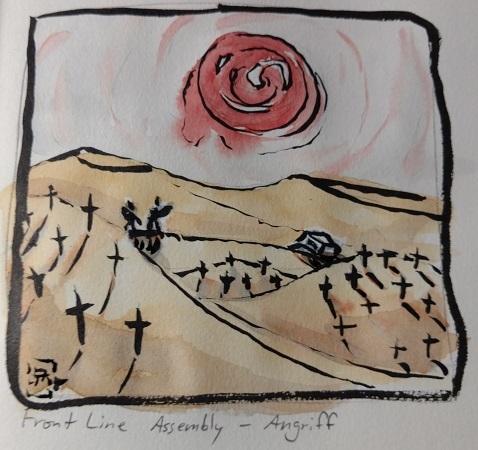 This is fanart for Front Line Assembly’s song, Angriff. 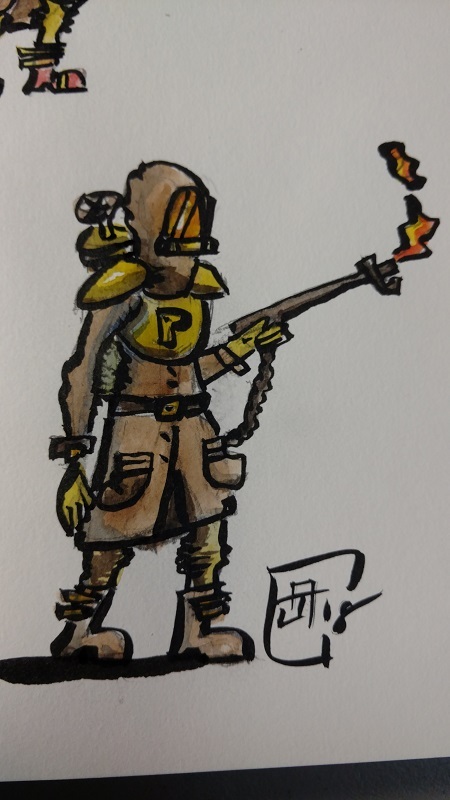 The imagery described in the beginning of the song is so vivid I had to do a sketch about it. I’ve shown them already (I haven’t decided on gender yet) in another post, but here’s Dr. Petrol again! I’m still really happy with how this turned out. We may see more of this character in the future. This flower is an experiment in color. My buddy Tim (aka InsertCoinTheater, on Mixer) was kind enough to buy me an early birthday gift in the form of a really cool book on color. The book is Making Color Sing by Jeanne Dobie. It’s primarily focused on watercolor, but it has really good advice for other media too. 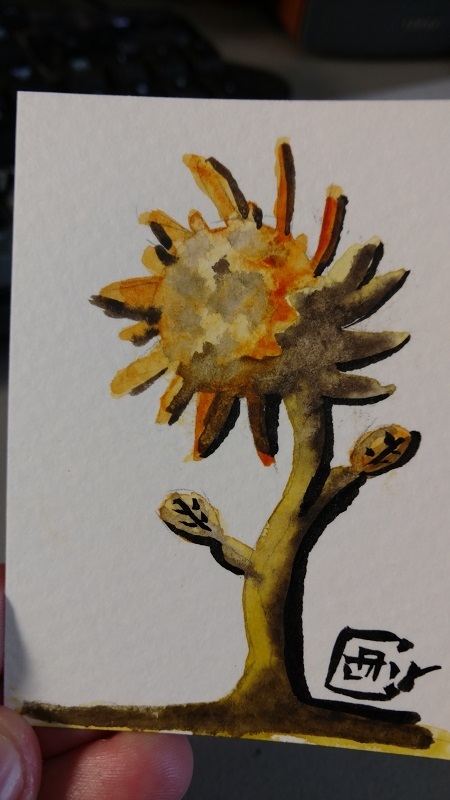 This flower was done using some things I learned from that book. 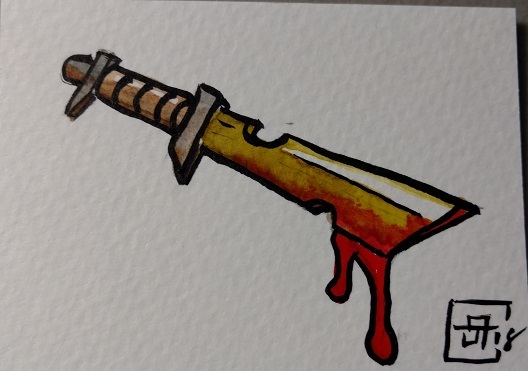 Here’s a more finished version of the knife from the above concept sketches. 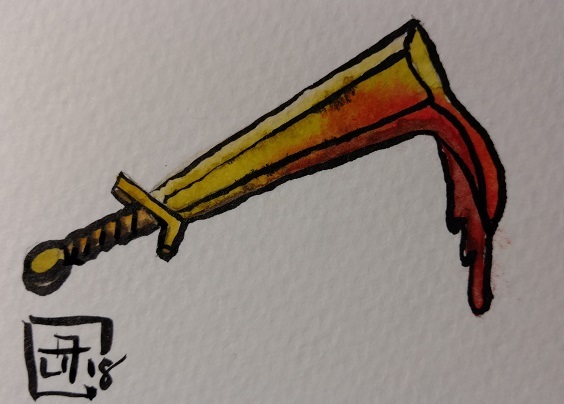 I played around with some wet-into-wet blending with the colors of the blood and metal on the blade, and I think it came out great. 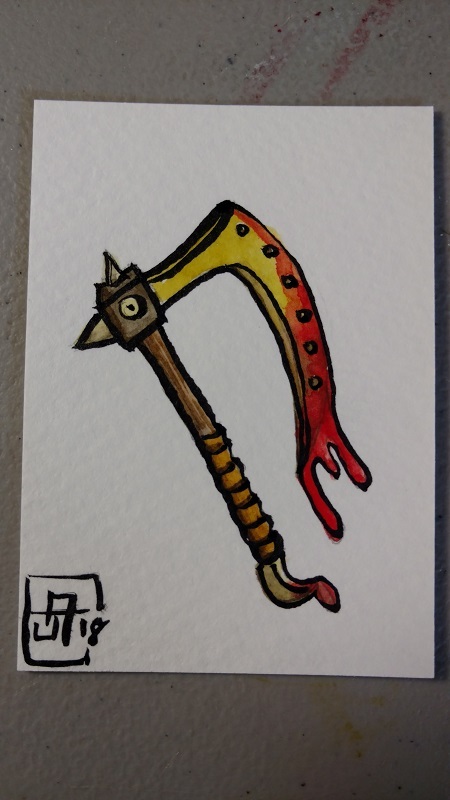 Here’s a more finished version of the above axe, as well. I don’t really have a whole lot to say about it, but I like how it turned out. As a bonus, I just did this sword and snuck it into the post. It’s not as nice as the other two, but it’s cool having a finished set of all three. Another note: I’m putting together an illustrated collection of my poetry, with the tentative release date of June 21 (my birthday), so keep an eye out for that too!